The case of Ebola virus in some part of West Africa in giving everybody a serious concern. One of the most widely recommendation and safety tip given by the World Health Organisation and other health related expert for preventing one's contact with the disease is to wash your hand regularly with soap and make sure you keep your hands germs-free.This is because most of our interaction with objects around us and close contact with friends and relatives are via our hands which is why your hands should be sanitized regularly. As the doctor will always say, 'Prevention is better than Cure'. 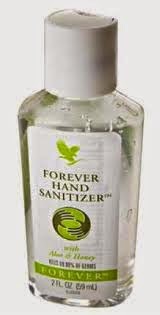 In this short tip, I will be sharing a simple and effective hand sanitizer you can order in unit or bulk and pay on delivery to your door step.